Looking for a fun kids activity for some imaginative play? 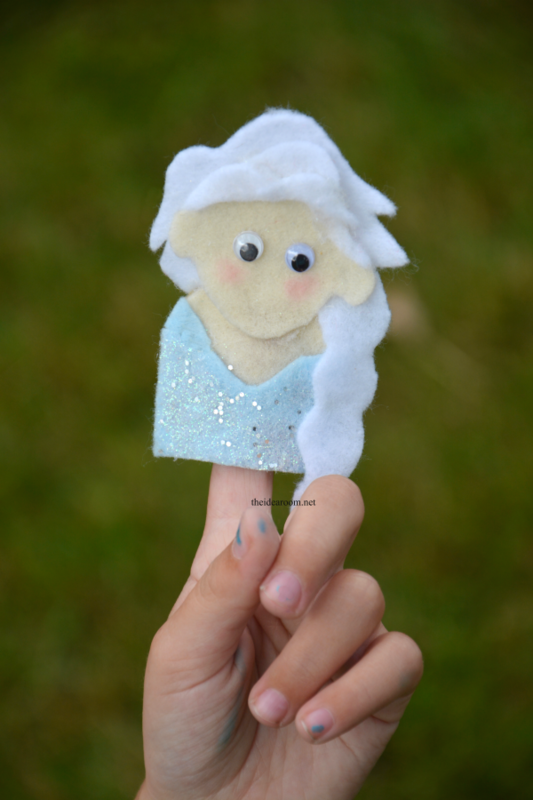 Make these Finger Puppets with our Frozen Finger Puppet Patterns. 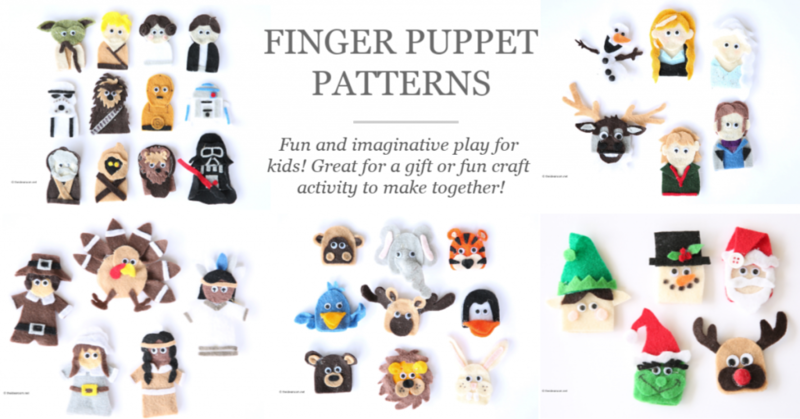 These hand finger puppets make a great gift idea! Did the Disney Movie Frozen and the Frozen Characters take over your house like it did mine? I have two little girls obsessed with everything Frozen. The soundtrack plays non-stop on the CD player and in the car. Everyone likes to sing along whether they admit to it or not…even the big kids! 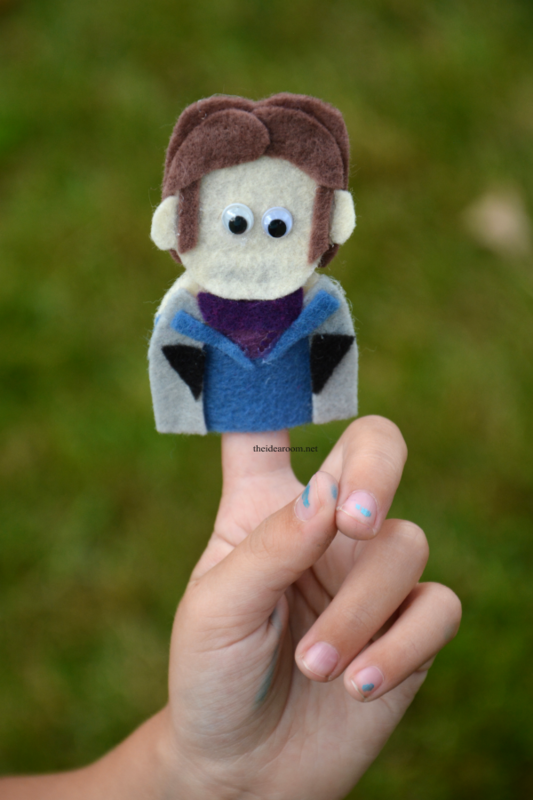 I had some major help from my youngest to make these finger puppets. She made sure that everything was EXACTLY like it should be. She was, and is still not totally convinced that Hans is right…haha! The first time I showed her Hans, she didn’t think his hair was the right color. I had to search for the correct hair color and it is still not totally correct…but it is the best we are going to be able to do with the felt colors that were available! She was taking this VERY serious! So…even though they don’t have mouths (which was another “observation” by my cute neice pictured above) and Kristoff’s outfit is “weird” they have finally passed the test enough to be shared here with you! Sheesh! But…even with all the things not exactly right…they LOVE them. 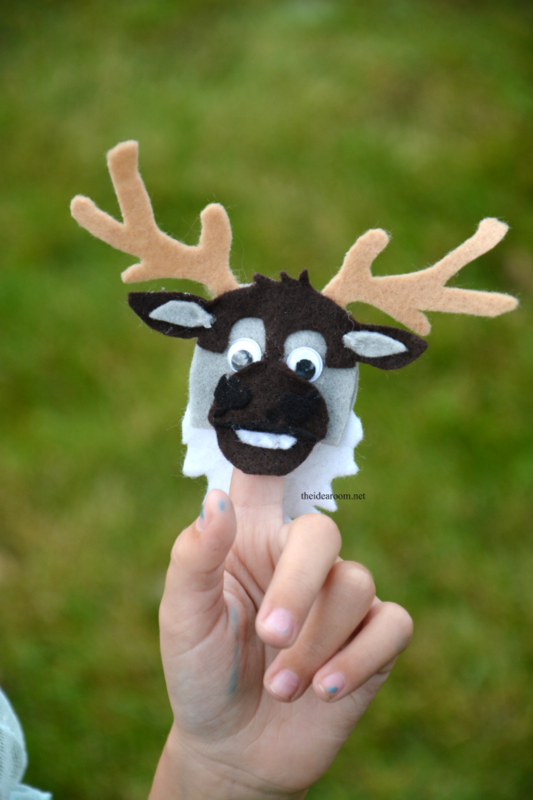 Finger Puppets are a great activity that allows kids to use their imaginations. They are perfect for quiet play at church or while waiting at a restaurant or for a doctor’s appointment. I LOVE that they are totally unique and handmade…two great qualities when you are looking for a great gift idea for your kids, grand kids and friends. These finger puppet patterns are for your own personal use and are not to be resold or redistributed. I would appreciate it if you would not share them with others, sell them, or use them for anything other than your own personal use. I put a lot of time and effort into making these and would like to believe that most people would be respectful of copyright laws. If you would send friends and family HERE, to my site, rather than sharing the patterns with them. 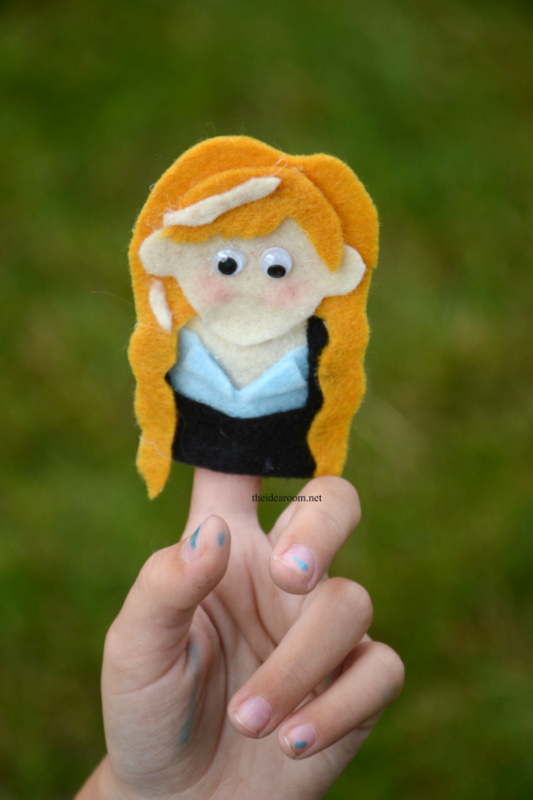 If you would like to buy the finger puppet patterns, simply click on the button below. 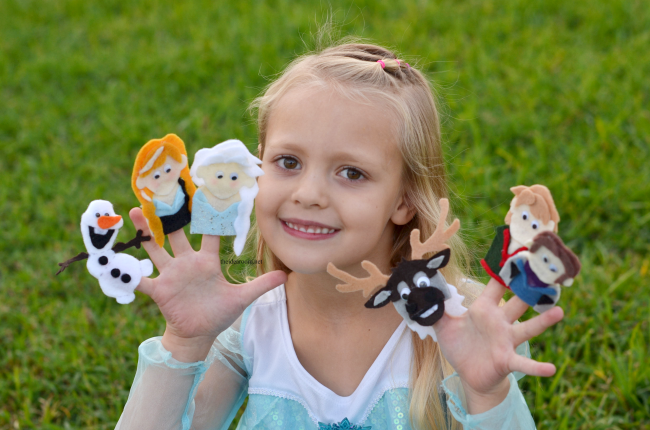 This finger puppet pattern contains instructions and patterns for the following frozen characters. 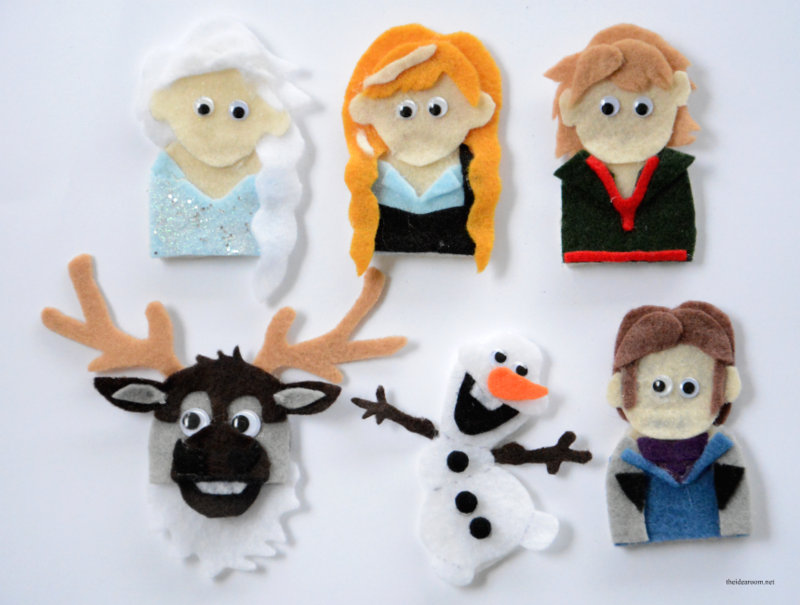 You can purchase the Frozen Puppet Patterns here through PayPal for $3.99. 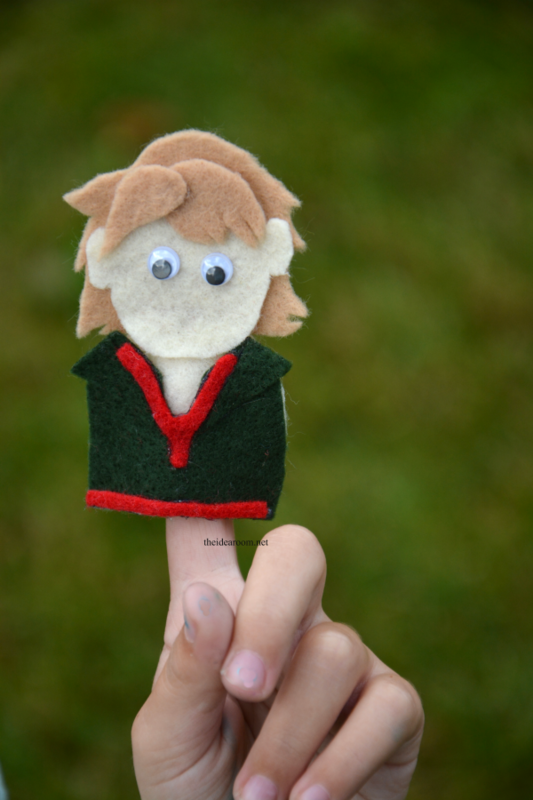 If you have been following along with me here at The Idea Room, you may be familiar with some of the other Finger Puppet Patterns I have made and shared in the past. Some of you may have actually made some for your own family and friends. 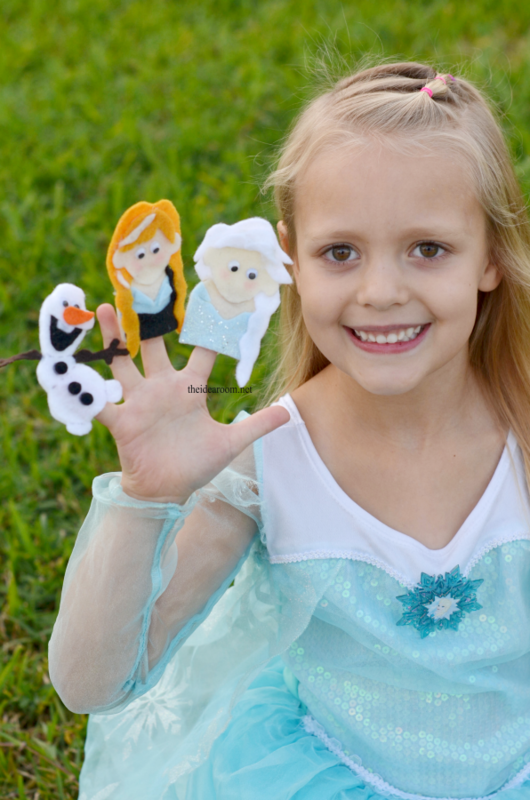 I just love your cute Frozen finger puppets! I can’t wait to make some for my girls. I was able to open the directions, but can’t seem to find the patterns. Could you tell me where I need to look to find those? They should be the link below the instructions. Let me know if you still can’t find them! the same for me, It keeps sending me in circles. thank you so much for all your work!! I would love the patterns too, so cute!! Thanks for sharing! I was able to open the pattern, but the last two and a half pages a blank. Could you help me get the rest? I love these puppets! Thanks! Checking into that! Thanks for letting me know! 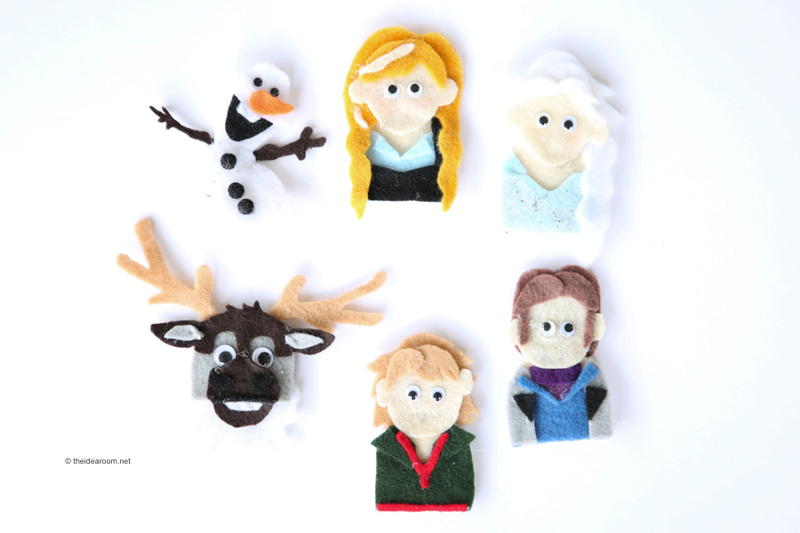 I was able to print out patterns, but Olaf was not included. Can you tell me where I could find the pattern for him? THANKS! Can’t wait to make these as a Christmas gift for my daughter. I forgot to add him. Just added in his link now! Thanks for letting me know! My three little girls will go crazy for this! I wasn’t able to access the finger puppet patterns. Is there another way to access the or perhaps could you email then to me? My nieces would LOVE them!!! What kind of glue do you use? I bought fabric glue and it didn’t work. You have to use a glue gun and hot glue. Other glues will not hold up! My home printer didn’t work last night, so I just tried them from work this morning and can’t find the pattern and instructions now. I just go in a loop. Dang! I loved them and thought I’d be making them for my granddaughters for Christmas. Is there any way you can email them to me? Thanks! 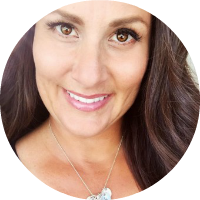 Love your creativity and free patterns! hi, I am also having trouble getting the frozen pattern (also going in a loop); could you please help…. 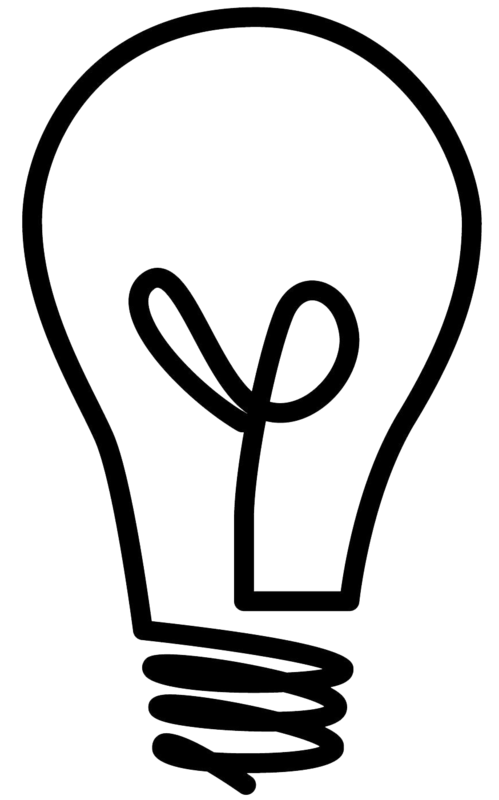 :) I AM THRILLED that you made this available and I am now a fan of your page, I love your ideas! 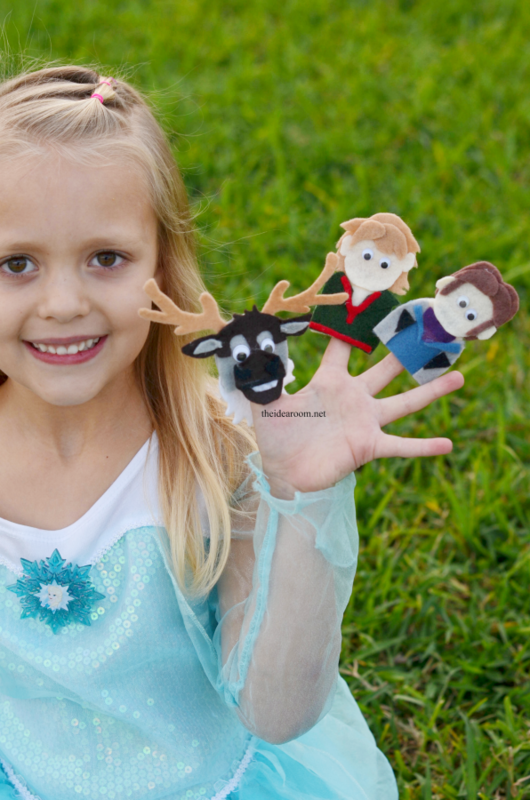 Thank you so much for the Frozen finger puppet patterns. MiMi got great grandma points for making these and we had so much fun making and playing with them! 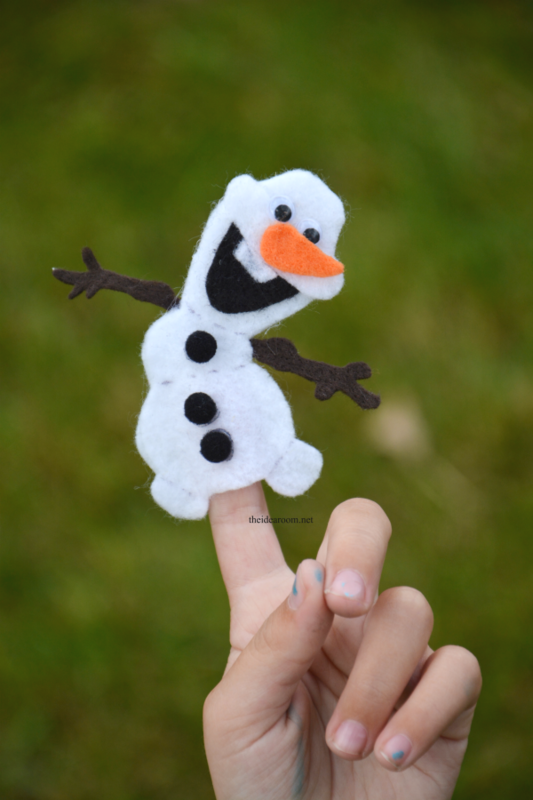 I am wanting to make these finger puppets to donate to The Primary Children’s Hospital fund raiser. Would you please email me and let me explain what it is and find out if this is something you would agree to? I am having trouble downloading these. Are they no longer free? Every time I click on the link it sends me to Facebook. When I click on the “gain access to downloads” link, it sends me to the same place on the website I was already on. I have liked the page, but it just keeps sending me in a loop. Please let me know if I am doing something wrong. 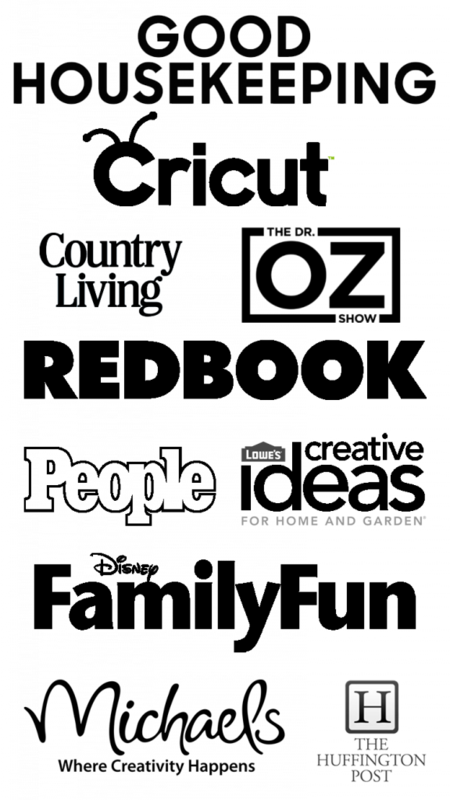 I offered them to my readers free for a few days when I first shared them and then moved them into my store. If you would like to purchase them you can do so my clicking on the link to my store in the top right hand corner of my site. Sorry about that! Haha! My daughter was a big “help” making sure I had things as close as possible. Although she still doesn’t quite think Hans outfit is the right one…but I did the best I could LOL! Thanks so much for the fun and sweet comment! Brigitte- Looking into it. So sorry. I will be sending them to you soon.